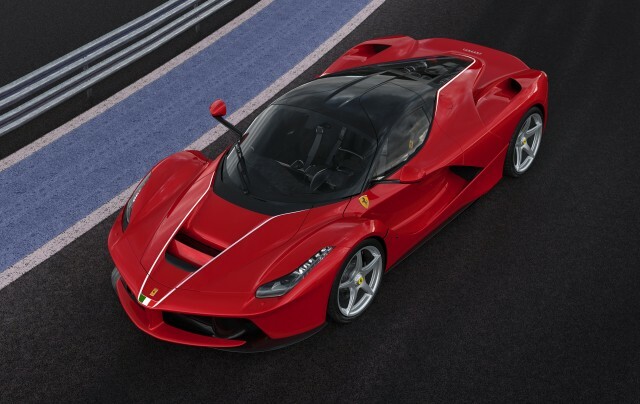 Ferrari [NYSE:RACE] has revealed a LaFerrari that it plans to auction off for charity at the Finali Mondiali event which takes place at Daytona International Speedway from December 1-4. The car is a special 500th example that Ferrari previously announced it would sell to help raise funds for reconstruction efforts in Central Italy, which was rocked by a devastating earthquake on August 24. It represents one more than the originally planned run of 499 LaFerraris and could quite possibly go for more than $5 million. Recall, a slightly used d LaFerrari was sold in August during the 2016 Monterey Car Week for a staggering $5,170,000. This one is features a unique exterior finish as well as a special plaque in the cabin to highlight its significance. Under the pretty body work is the familiar V-12-based hybrid system spitting out a combined 950 horsepower. The auction is scheduled for December 3 and is being held in collaboration with RM Sotheby’s and the National Italian American Foundation’s Earthquake Relief Fund. Ferrari’s annual Finali Mondiali event is held to celebrate the end of the motorsport season. This year will be the first time the event is being held in the United States. A number of Ferrari road and race cars will be present, with Formula One drivers Sebastian Vettel and Kimi Räikkönen showing up on the final day to wow the audience with some driving antics. As Symantec flexes its muscle in security, who will step up to the challenge?